Sleep is a complex experience-and yours is wholly unique. That’s why we developed Beautyrest Platinum™, mattresses built with balance in mind, blending art and science for a more fulfilling sleep. Regulating the nuances of temperature and support, Beautyrest Platinum offers a smarter, restorative rest-and a better morning. 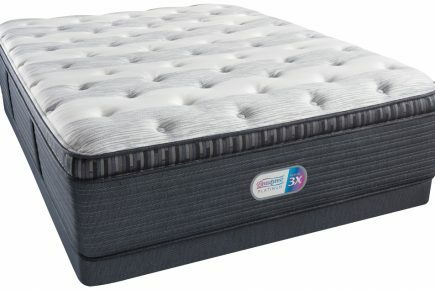 Designed with cooling materials uniquely positioned just beneath the surface to move heat away from the body up to 20% better while you fall asleep. The fibers are also infused with ActivPur, an antimicrobial technology that helps prevent odor-causing bacteria, mold, and mildew to help keep your mattress fresh.